The resource pool is the foundation of virtual data centers, virtual desktops, high availability and other options on virtual servers. 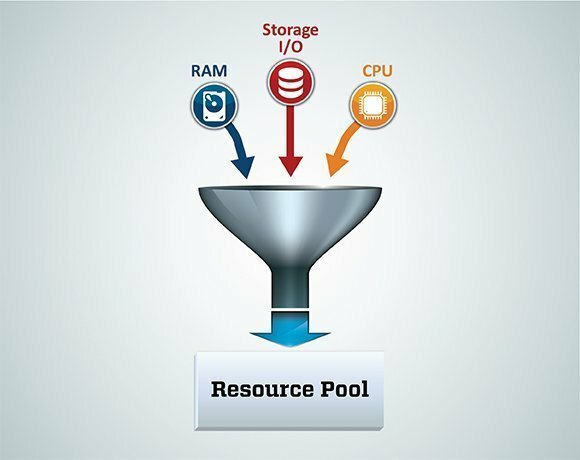 Resource pools aggregate CPU processing power and memory, along with any other relevant components, then share these hardware resources among virtual machines (VMs). Before virtualization, hardware resources were underutilized and sprawling. By pooling resources, VMware server and desktop virtualization products bump up hardware utilization. Virtualization evolved with resource management tools such as VMware Distributed Resource Scheduler that organize VMs to maximize resource utilization rates and minimize waste without any noticeable impact on VM performance.